December | 2009 | Another Beautiful Day in Paradise! 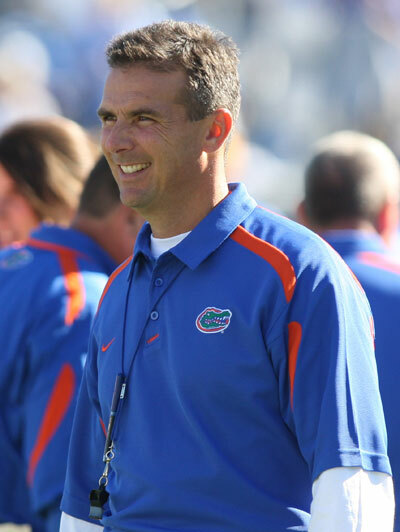 The big news with Gator fans this weekend has been Urban Meyer’s flip flop. On Saturday, he announced he was retiring due to health reasons. On Sunday, he flopped back and changed it to an indefinite leave of absence. My first thoughts are: I hope his health issues turn out to be OK, and he returns for a long and successful career. While I’d hate to lose him as the UF coach, a fatal heart attack or stroke isn’t worth it, not even for $4 M per year. Many of the sports columnists are second guessing him, as they always do. That’s probably part of the stress he needs to escape. I really don’t see a major change in the now-famous flip-flop. That was extremely generous of AD Jeremy Foley, but I think it also shows the incredible level of respect and esteem in which the University holds Urban. The guy is one of THE, if not THE most successful college football coach of the last ten years. But when you look at how it developed, it’s not really that much of a change of mind. Florida has an outstanding football program and they will be just fine. Next year is probably a reloading year no matter who is the head coach. If Urban can come back for the summer practice, that would be great. If he needs a few more months, that’s OK too. Obviously, such an open ended arrangement can’t last forever, and I don’t think either Foley or Meyer would let it. All is good. When you are on top of the heap, you live in a glass house, and there are lots of people standing outside throwing stones. That’s life. It’s still better than being at the bottom of the pile and no one caring at all. This has been a good weekend – relaxing and enjoyable, if not overly productive. Both our children and their spouse/girl friend came over Christmas afternoon and we cooked a major holiday meal – turkey, dressing, gravy, mashed potatoes, peas, squash casserole, cranberry sauce, fresh green beans, and more. We really cooked too much, but both kids took large amounts of leftovers home with them. They won’t need to cook until they just get tired of turkey. I spent most of Saturday bringing my home computer back from the dead. I restored it to its original factory condition and then reinstalled software, files etc, with several comprehensive anti-malware scans along the way. I encountered no bugs, but it did take awhile. Saturday evening, we went down to our friends/neighbors, the W’s, for a holiday open house. They had all three of their children home at the same time, which is unusual, so they decided to have a party. Very nice. We came home and hit bed early. I had the best of intentions of getting up on Sunday and starting to work on my part of our bedroom. We want to do a major clean-out and paint the room. When that is complete, we will replace the carpet there and in the other bedrooms with hardwood or laminate flooring. It will match the rest of the house. Well, I slept late; made some ham and eggs for Mrs. P’s brunch and then got back on the computer-update project. Mrs. P slaved away at her share of the bedroom project and we had a car load of stuff to take to Goodwill. We decided to hit a Sunday afternoon movie. 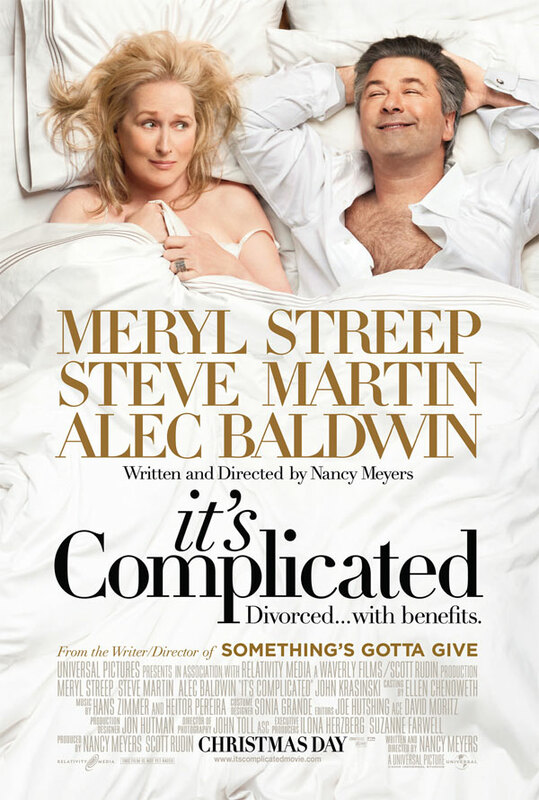 We saw “It’s Complicated” with Meryl Streep and Alex Baldwin. It was a very good movie –not an Academy Award winner, but a well written and well acted romantic comedy. Meryl Streep was good, but Alex Baldwin was off the chart. The plot is basically that Meryl and Alex are couple divorced for 10 years. They hook up at their son’s college graduation and begin an affair. Alex has remarried to a younger woman. You can imagine how it goes from there. Steve Martin is also their as the “third wheel,” an architect who is wooing Meryl. It is a predictable path, but an enjoyable journey, all the same. Their three grown children are a little too saccharine for my taste, but that is the flick’s only real weak point. Don’t expect a complex plot, just enjoy Meryl and Alex doing their thing. If you are looking for a diversion over the holidays, it’s worth the price of admission and a box of popcorn. We spent today running errands, to Goodwill, Home Depot for paint, etc. Mrs. P is back to work for two days tomorrow so I’ll have no excuses not to get some work done. We’re just hanging out this evening, watching Georgia play in the Independence (formerly known as the Poulan Weedeater) Bowl. Mrs. P has cooked a homemade turkey pot pie. If it’s as good as it smells, I’ll post the recipe later. 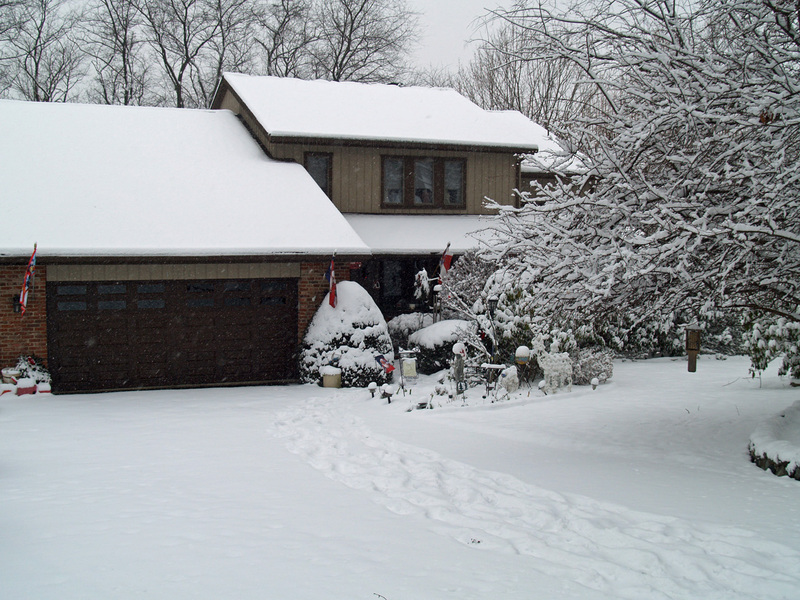 It is a slow and quiet day around Casa Poolman this Christmas. This is Mrs. Poolman’s year to work both Christmas Eve and Christmas. At the nurses request, several years ago her ICU started scheduling holidays so that one crew worked both Christmas Eve and Christmas and the other half had both days off. They alternate Thanksgiving and Christmas and year to year. This year, Mrs. P was off the entire Thanksgiving weekend, but had to work 12-hour shifts yesterday and today. Both the children are spending the first half of the day with their in-laws (Writer Princess) and the GF’s family (Poolboy.) They will all be coming over here in the late afternoon. We’ll open presents and then have dinner after Mrs. P gets home around 730 pm. This is actually the quietest Christmas I have had since Mrs. Poolman and I were married. In past years, when Mrs. P was working, we still had large groups of her family come for a “house party weekend.” Some of those were totally crazy. Too bad I wasn’t blogging back then. There were some great stories. Everyone is spread to the four-corners this year. No sweat. If I had a house full of company, I wouldn’t be able to write this blog entry. Ha! Yesterday, I discovered my home computer was infected by a virus. I spent much of the day trying to get that squared away without success. I think I’m going to have to restore the computer to its original condition and start from scratch. I now need to get down to some serious cooking. Merry Christmas, everyone! 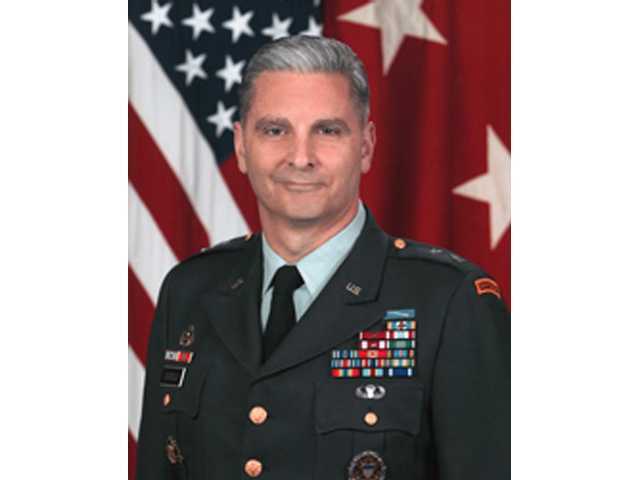 Major General Tony Cucolo lost a battle in Iraq this week, but it didn’t involve guns and bullets. The victors weren’t the insurgents – they were a handful of liberal senators and our favorite, clear-thinking group, the National Organization for Women. You probably heard about Cucolo’s effort to rule out pregnancies among the women in his command while they are deployed to a war-zone. If you missed the fuss, you can catch up here and here. I wish the liberal senators and NOW had just shut up and looked for more important issues to become enraged over. Cuculo was right on target with his orders and he should not have been overruled. You give up a lot if rights and freedoms when you join the military, even more when you are deployed to a war zone. Pregnant women are automatically sent home if they become pregnant. As Cuculo said, every soldier in his command, men and women, are vital to his mission and he can’t afford to ship them home. It isn’t too much to ask (order) his soldiers to put their family-building plans on hold until they finish the mission. He didn’t say you couldn’t have a family when you are in the Army. All he was said was, (paraphrased) “Hey, we’re in a war here. I need every person we have to get the job done. Don’t let yourself get ‘knocked up’ and sent home until we finish the mission.” The order applied equally to both the would-be mothers and fathers in his command so it was gender neutral. Why is that so offensive? There is always the other issue. A pregnancy can be a “get out jail, free” card to a female soldier who decides she doesn’t want to complete the deployment and wants an early trip home. General Cucolo was on target with his order. It’s too bad knee-jerk politicians and activists can see the wisdom behind his policy. If I ever had any thoughts that maybe I am missing out on that “winter wonderland” thing by living in Savannah, I was thoroughly dissuaded this past weekend. I took a quick driving trip to visit my father and Youngest Sister (and family) in Pennsylvania. I picked up Middle Sister in South Carolina along the way. Mrs. Poolman couldn’t rearrange her schedule, so she stayed home and took care of the critters. I drove to SC on Wednesday afternoon and Middle Sis and I took off Thursday morning for Pittsburgh. The weather was great, bright and sunny the entire way. MS and I talked the entire way, so the eight hour drive went quickly. We had a good time visiting. 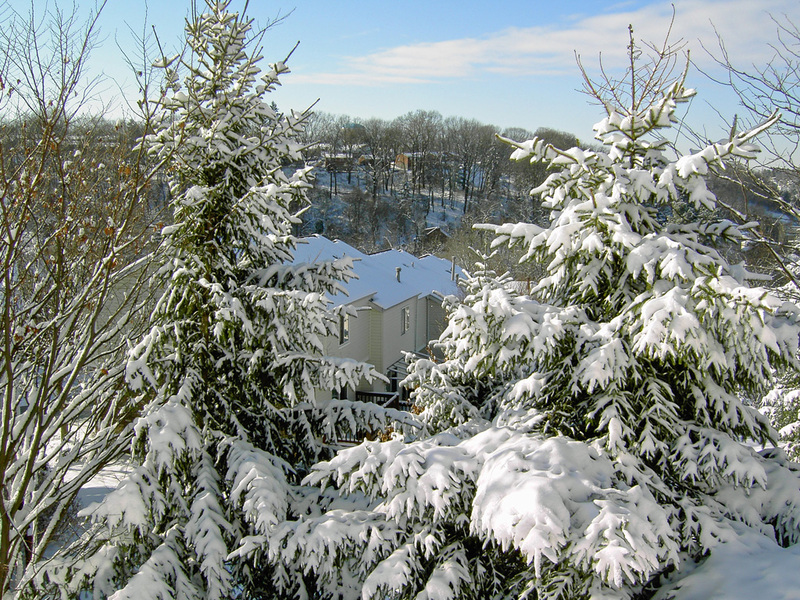 While we were busy enjoying family, a major winter storm was wreaking havoc, mostly to the south and east of us. After dinner Friday evening, I took off for a Christmas party given by an old friend (same friend that we visited in NYC in September.) Randi put on a great party and I had a chance to reconnect with a number of old friends. I stayed to help clean up, along with several neighbors and some of the hostess’ friends who were staying at her house. 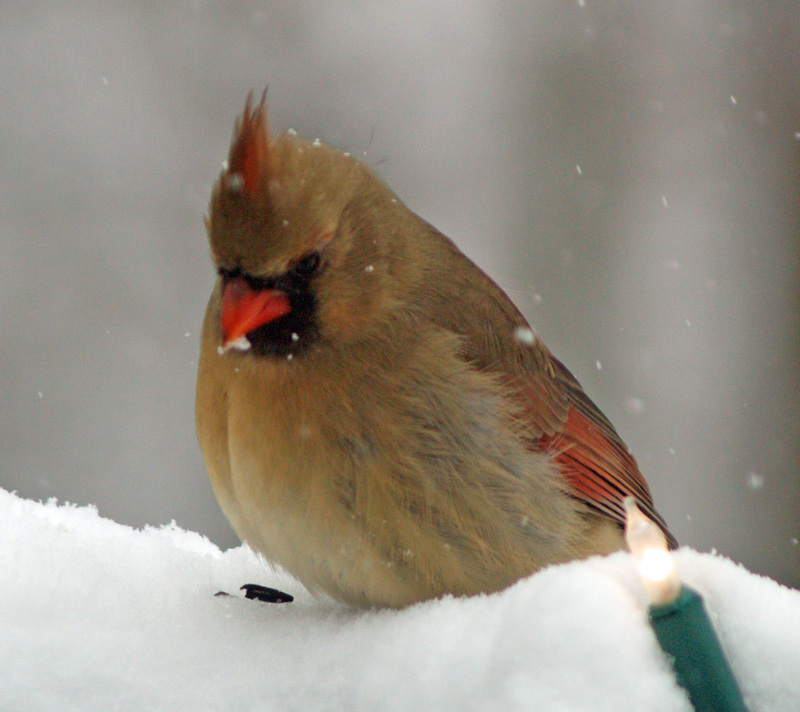 When I walked out to leave, there was about two inches of snow on the ground. I knew I was in trouble when I found myself sliding down the road on the ice. 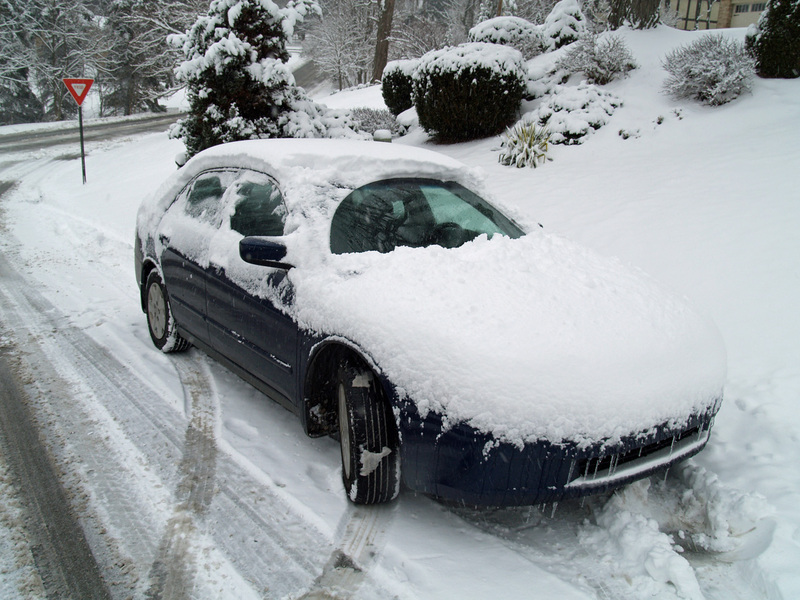 When I was brushing the snow and scraping the ice off my car, I had to hang on to keep from sliding down the hill. I was parked facing uphill. I got about 50 feet and no more. So I hiked back up to Randi’s house and asked if she had a spare couch for a stranded traveler. I’ve always told Mrs. Poolman, that heavy snowfalls may be beautiful, and can be enjoyable, as long as you don’t have to go anywhere. Eventually the road crews came along with plows and salt and I was able to make it back to family, first to my sister’s and later to my Dad’s. What a pain in the rear! The plan was to drive back on Sunday. We were trying to get weather information from The Weather Channel, but surprisingly, they weren’t much help. They were so focused on the progress of the storm through the Northeast, especially DC, NYC and Boston, they barely mentioned anything in the rest of the country. Bad berries to you, Weather Channel! You’ll get nothing but coal and switches in your stocking later this week. Sunday morning dawned bright and sunny. The view off Dad's driveway. Absolutely beautiful! After giving just enough time for the sun to work a little magic, we decided to chance fate and take off. 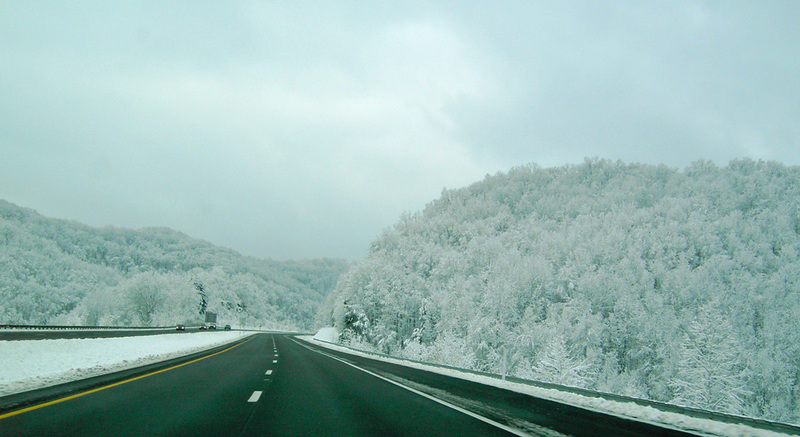 The first half of the trip, especially through West Virginia was very picturesque, and fortunately the roads were mostly clear. The trip was uneventful. Again, MS and I talked the entire way and the time flew by. All told, it was a good trip, with a short, but enjoyable family visit. For the future, I think I’ll keep myself in the south between December and March. For those of you who live through that all winter, I hope you enjoy it, because if you don’t the South doesn’t have room for all of you! I saw two items in the news today that prompted some reaction. The first was a truly tragic story from the Rio Grande Valley of Texas. It seems a woman took some pills to abort her 7 month gestation child. The story raised attention because, being unable to flush the baby down the toilet, the woman and the father put the baby in a gift box, wrapped it and put it under their Christmas tree. You can check the details here. Actually, my comment is not about the mother and the father. Clearly, they are seriously disturbed and need psychiatric help. My issue is with the AP and other news sources that consistently referred to the result of the botched effort at a premature delivery as a “fetus.” Supposedly the woman was in her 7th month. That’s 32 weeks, give or take some. It happens I am very close with a neonatal intensive care nurse. She cares for premature babies every day. She assures me that at 32 weeks, an unborn child is fully formed and typically would weigh in at 2-3 pounds. If born prematurely, the baby would need special care, but barring other complications, a 32 week gestation baby stands an excellent chance of a good outcome. Memo to the Associated Press and other journalists – That was not a fetus. It was a baby. Get it right. Words matter. You should know that. They are the tools of your trade. Meanwhile in Copenhagen, the nations of Africa have been staging a protest at the global warming conference to push the industrialized nations to cough up some big bucks to pay for the effects of climate change on the third world. In principal, I don’t have a real problem with this. My issue is with the governments that would be getting the money. Here is a quiz. 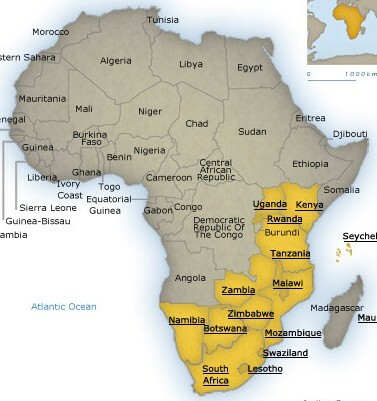 How many African nations can you name that have a stable, democratic government? There are a few, but they are greatly outweighed by the countries still ruled by dictators, wracked by civil war or who consider 5 years of peace and stability a new record. Zimbabwe – President Robert Mugabe has single handedly destroyed what once was a fairly thriving country. The economy is in shambles and life expectancy has dropped into the 30s for both men and women. Democratic Republic of the Congo – The site of 12 years of civil war. Fatalities continue at the rate of 45 K deaths per month. Nigeria —Plagued by ethnic violence. Run by a military dictatorship for three decades ending in 1999. Sudan – Darfur, need I say more. Ivory Coast – Has been plagued by a succession of wracked by coups and civil wars for decades. Somalia – Now, there is a poster child for a emerging nation. Liberia – Two civil wars in the past 20 years. Rwanda – Known the world over for the massacres that happened there in the 1990s. What would make anyone think that billions of dollars sent to the people who actually rule most African nations would be used to fight the effects of climate change? You would be better off trying to help your homeless, alcoholic uncle by giving him an unlimited credit card. We are just SO exciting! Mrs. Poolman and I had a fairly uneventful weekend. We ran errands, did a little shopping and rented a couple of movies to watch. We’re so exciting. 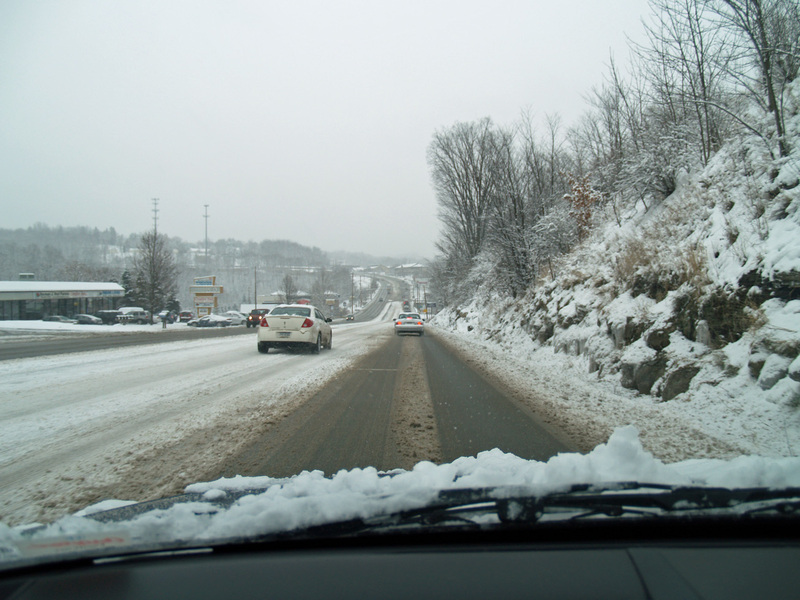 On Saturday, we braved the highways and parking lots to finish up some Christmas shopping. We stayed in Saturday evening and I made some cream of artichoke soup (recipe under the “Recipes” tab above.) We watched “Julie and Julia” with Meryl Streep and Amy Adams. This isn’t an Academy Award winner, but it is a very cute movie. Meryl captures the Julia Child persona perfectly. Amy is nothing if not cute. It was very enjoyable. 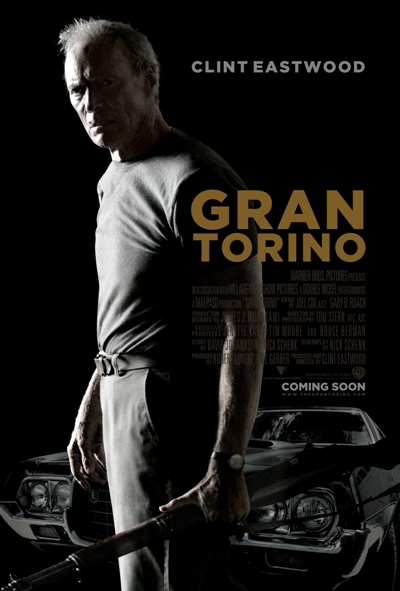 On Sunday evening, we watched the second of our two weekend movies, “Gran Torino” with Clint Eastwood. This movie has already received a bunch of publicity and awards, and they are well deserved. I’ve always been a big Clint Eastwood fan. In this movie, he plays himself as well as he has since “Dirty Harry.” I love the “squint.” Unlike “Julie and Julia”, this is absolutely will not leave you with a warm and fuzzy feeling inside, but it is an outstanding movie with somewhat of a surprise ending. If you haven’t seen it yet, put it on your to-do list.